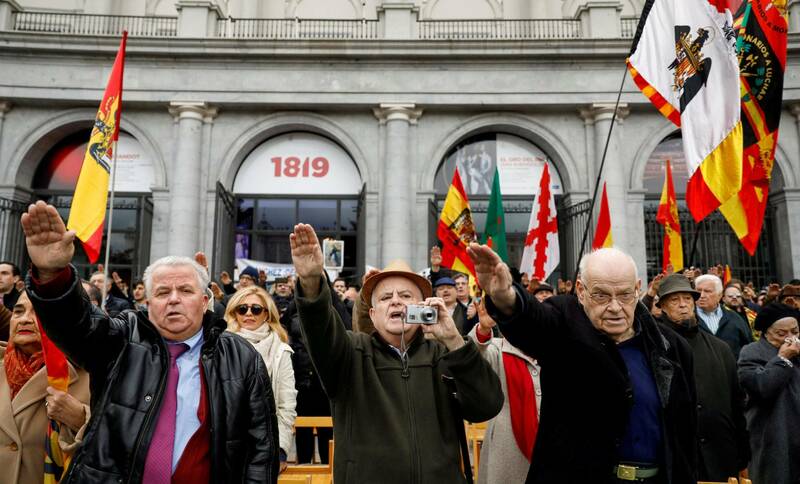 Hardly believable that these people are allowed to do Nazi salutes in honour of the despicable Franco. Also unbelievable is the women protesting against them get locked up by the Police. OK, they are a bunch of old sods in the photo but they had plenty of support from younger people. It's a very worrying trend. Mmmm Spanish politics,the farther North you go the more it is like the frigging wild west.How does it go,kids today don't have a clue.